France, Spain, Italy, Thailand... These countries are on everyone's bucket list and, of course, everyone heard about how great they are. In this list, I'm taking a different approach. I don't feel like talking about the places you all know well - you won't find Maldives, London or Australia here. I want to show you some of my favorite countries I've been to. But from those, I chose the countries that are totally forgotten by the tourists magazines, travel bloggers or TV shows. You've probably never thought of visiting them or never heard that some of them even exist. And, thanks to the media, you most likely hold a negative perception. I would like to break those stereotypes. It's a very personal and subjective list based on my own experiences. You, of course, may disagree. However, what I wanted to show is that every part of our world is beautiful if it's presented in the right way. It doesn't matter if a place or a country is popular/trendy or it's "cool" to be seen there so you can show off your selfies on Instagram. I heard questions like whether I'm out of my mind to go on vacation, lets's say, to Bosnia instead of Spain many times. But we should keep an open mind - the less popular spots often turn out to be so much better. These are the places that completely shattered my expectations, were the most surprising, beautiful and incredible. So different from what they were usually presented like in the media. That's the best thing about traveling to the off the beaten path counties - you must put your bias in your pocket and enjoy discovering how amazing it is to become a real explorer! I hope you enjoy the list and it will be interesting for you to see something different and fresh from what's advertised mercilessly over and over again in the media. I've mentioned already many times that Albania remains my favorite country I've ever been to. And there are a few reasons for that. It was the first country that when people heard where I'm going, they said "Why would you go there? Are you out of your mind?" Probably thanks to the negative stereotypes about this tiny country that's present in Hollywood movies. Now, having shown them the photos, they understand and suddenly they want to visit it too! I can easily tell you why you should go to Albania and why it was my favorite. First, it was one of the most surprising and mind blowing countries that completely changed my expectations I'd had. I expected a dull, dirty country with nothing much to see and what actually unveiled before my eyes was pure paradise. White sand beaches just like in the tropics (quite rare in Europe), with the color of the sea so bright that's unbelievable, crystal clear Blue Eye spring that flows out directly out of the ground creating a lake so pure that it makes you think it's an artificial aquarium. Apart from that, the Albanian towns of Gjirokaster and Berat were one of the most unique and beautiful in Europe. Near Berat, for those who love something more extreme, it's possible to do rafting down the amazing Osum canyon. If you love mountains, Albanian Alps in the north are unbelievable. Such a small country and so many places to visit. So close and easily reachable and... no one knows what it has to offer. Take a look at my posts about Albania. This large Central Asian country is virtually unknown in the West. It's only associated with the comedy film Borat and the way it is portrayed there would probably be the usual perception people would have about Kazakhstan. When you visit, however, nothing will surprise you more. The large cities such as Almaty and ultra modern Astana are far from what you might have expected. Note that in Astana you will find multiple brand new skyscrapers and a huge shopping mall in the shape of a nomadic tent. On the top floor of that "tent", there's an artificial beach made with... sand transported from the Maldives. When it comes to nature - if Kazakhstan was located in the West, it would be one of the most popular destinations. And although the country is so vast - the very best natural wonders are located around Astana - quite easy to visit in a short period of time. 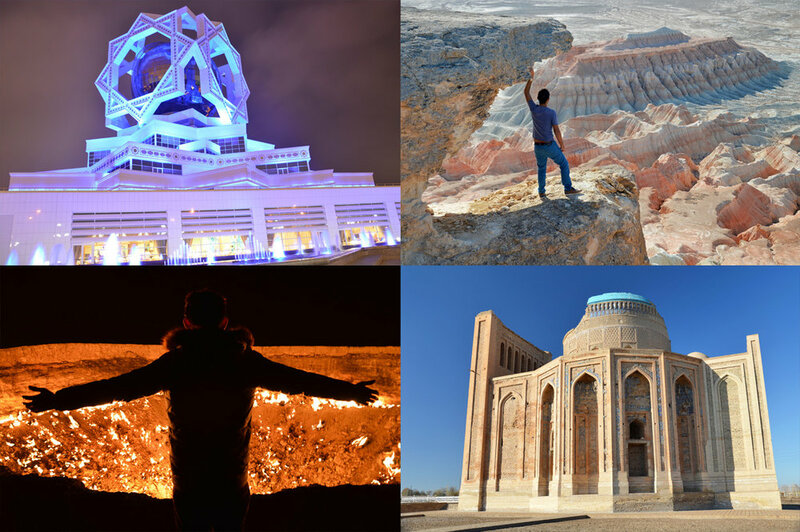 In a few days, you can see the Singing Dunes of the Karakum Desert, the red-golden Aktau-Kaktau mountains and the spectacular Charyn Canyon, which is a smaller version of the world's most popular Grand Canyon. On the other side of the mountains, don't miss the cozy little villages - stay in one of the local huts and take a bath in one of the village saunas called "bania". From there - go and explore the most unique lakes in the world - the flooded lake Kaindy and beautiful mountainous Kolsai Lakes. Not too mention Big Almaty Lake which has a unbelievable milky blue color - just like in the Blue Lagoon in Iceland. Take a look at my posts about Kazakhstan. Panama is not a very touristy country. Most of the tourists prefer to go to the neighboring Costa Rica. I visited both and it was Panama that completely blew my mind. Central American capitals are not too charming, but Panama city was quite a surprise with its beautiful old town area which is now being restored. But Panama City was not the best place in the country. Panama is a perfect beach destination - I suppose those were the best beaches I've ever seen in my life. Just off the northern coast of the country are the San Blas islands situated - tiny paradise filled with coconut trees. It's just ideal - the islands are managed by the local community, therefore no large resorts are allowed. This means no concrete, no segregated beaches, no crowds. It allows you to enjoy way more the local feel - the way it should be. The sand is perfect and in some of shallow places in the sea you can spot the most beautiful starfish ever. This is definitely a place to go for all those who love unspoiled paradise, but can't stand the packed resorts. If you feel like partying - an amazing spot for you will be Bocas del Torro - as beautiful as San Blas, but way more lively. Take a look at my posts about Panama. When I visited Azerbaijan, I knew it would be an exciting destination. Having seen its neighbors in Caucasus (Georgia and Armenia), this forgotten part of the world remains one of my favorites. Azerbaijan is a small country and a couple of days is enough to see quite a lot. The capital - Baku is a mix of old and new - the walled old town contrasts with the city modern glass skyscrapers - especially the Flame Towers building which glows with different colors after dark. Apart from the capital, you must also see the mud volcanoes (Azerbaijan is a country with the highest number of mud volcanoes in the world) and one of the remote villages in the mighty Caucasian Mountains where time seems to stood still. But the part I loved the best about the country was food and prices. A taxi ride would cost less than 2 USD (Uber 50% cheaper) and a 3 course meal in an amazing restaurant with a glass of wine or pint of beer would be no more than 15 USD. And I'm talking about the best quality freshest options you can get. One of the best cheap destinations in the world! Take a look at my posts about Azerbaijan. This tiny country has a surprisingly high number of places to visit. And because of its size, it's very easy to travel around. Squeezed between its more famous neighbors - like Italy and Croatia, it remains a bit forgotten by the tourists visiting the region. Places like the Lake Bled or the Predjama Castle are relatively popular, but did you know that Slovenia has an amazing Mediterranean towns similar to those in Italy and the spectacular trails in the Alps? Also, the country can boast one of the most beautiful rivers in Europe - Soca river that has a few gorges as well as medieval bridges and a rare color of a tropical sea. Also, there are other spectacular lakes in Slovenia - such as the Bohinj lake with similar turquoise, crystal clear waters. During the summer, Slovenia is a host of multiple festivals held at the amazing lakes. This should be your next summer destination! You won't be disappointed! Take a look at my posts about Slovenia. It's a shame that so little is known about this fascinating, little country squeezed between the Caucasian Mountains and the Black Sea. Up to this day you can find ancient cave dwellings carved in the steep cliff walls that remember those glorious times - it is still possible to enter and walk through the passages that lead from one level to another. Apart from that, Georgia is an incredibly affordable destination that has amazing, fresh cuisine. Georgian cities are a surprising mix of unique, local architecture that features beautifully carved balconies and very modern style with skyscrapers and weirdly-shaped glass buildings. At night, the streets are illuminated with different colors - it's so pleasant and lively. Georgia was probably the most colorful country ever at night ever. Some people say it's tacky, but I liked it - it's different and fresh compared to those perfectly boring huge well known western capitals. There's yet another thing about Georgia that's so surprising. A country roughly the size of Switzerland has a few climate zones. Traveling from dry Tbilisi, you pass the desert like areas (where the cave towns are located), then you move to continental climate with spruce forests and heavy snow in winter before ending up in sub-tropical Black Sea coast full of date palms and banana trees. Watching the way the landscapes change in a few hour drive is an amazing experience. Take a look at my posts about Georgia. Cape Verde is the part of the larger group of archipelagos called Macaronesia. Many famous vacation destinations belong to that group: such us the extremely popular Canary Islands or Portuguese Madeira. The islands of Cape Verde also aspire to be the next hot summer destination. The flights from Europe are getting cheaper and the island of Sal is slowly becoming a beach spot with its wide, sandy beaches. However, Cape Verde islands are so amazing not only because of the beach and sea. Every island, although located so close to one another, is completely different and has its own unique micro-climate. The driest islands, like Sal, are the most popular, but I would recommend that you visit others too: we chose Brava and Fogo. 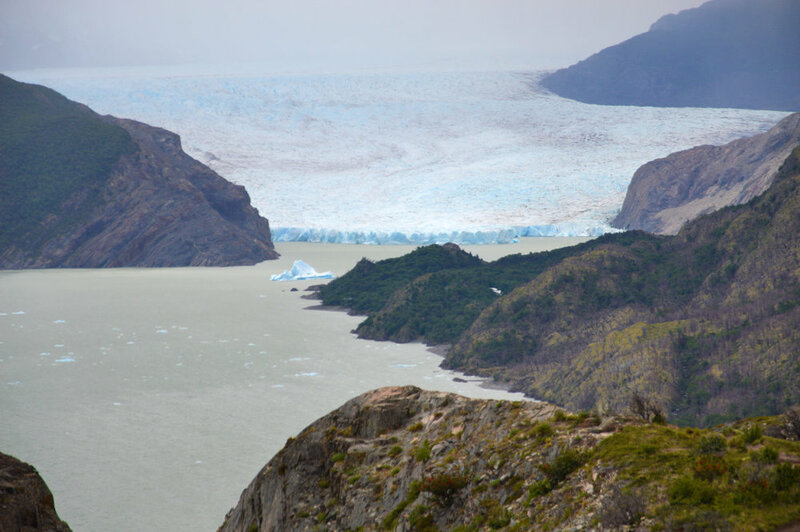 Brava is completely different - green, with dramatic cliffs and cozy, local villages. 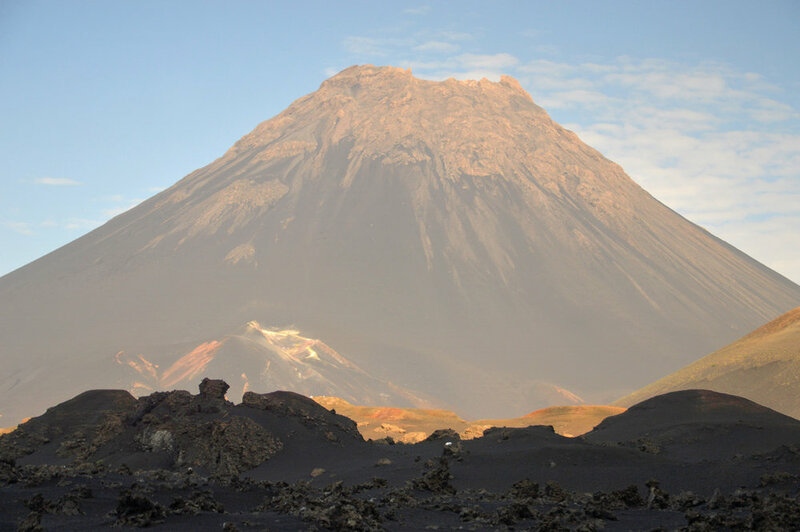 Fogo, in turn, is a volcanic island where the last eruption occurred in as recently as 2014. You can still see the entire village covered with freshly hardened lava. The residents has come back and are rebuilding their homes. It's worth noting that the volcanic houses are round and made entirely from volcanic rock. Take a look at my posts about Cape Verde. Turkmenistan is a country that no one knows anything about. It's not that easy to enter - but not as difficult as it may seem. This country was one of the most exciting destinations as I hadn't know what to expect at all - there's virtually no information available and I've never heard of anyone traveling there. And, to be honest, these were the main reasons I was really keen to see it for myself. And it was like a different planet or a parallel universe. The country's cities are modernized and revitalized - especially Ashgabat - which is a world record breaking white marble capital. The architecture is ultra modern and yet incorporates a local twist - I've never seen such style mixing marble, glass and fanciful geometrical shapes. The bus stops have shops with the newest phones and other electronic gadgets. All this is vividly illuminated - from afar, Ashgabat resembles a fun fair. But it's surprisingly quiet - maybe because it is a "show off" capital, like in quite a few similar places. The villages, in contrast to the modern cities, remain undeveloped and very traditional. The landscapes - mainly desert-like are dotted with crumbling ancient towns dating back to the prosperity times of the famous Silk Road. In some areas which are untouched by any archaeologists, you can feel like one - deteriorating pieces of ceramics and bones from ancient graves just stick out of the sand. Turkmenistan has many natural attractions - the most famous is definitely the Door to Hell crater which has been burning continuously since the 70s after the Soviets found gas and set it on fire. Camping nearby is a surreal experience. Other places worth noting are the spectacular Yangykala Canyons and hot springs located deep in a cave near the village of Nohur. I suppose that if Turkmenistan (and Central Asia in general) opened its borders for foreign visitors, it would be as famous as all the other destinations in the Far East - it's so unique. I know that this is a destination only for the amateurs of the off the beaten path places and virtually no one goes their on their vacation, but I believe once in a lifetime, it's so worth it to swap your usual spot for some completely random and unknown place - it's an unforgettable experience and great life lesson. Take a look at my posts about Turkmenistan. Lebanon is an amazing forgotten destination - due to the unfortunate events in the region, virtually no one from the West travels there anymore. However, contrary to our expectations, in Beirut, we felt safer than in Western Europe and it's a myth that Lebanon is not visited by tourists anymore - it is and it's extremely lively - but the people come here from the East rather than from the West. For such a small country, Lebanon has a lot to offer - culinary, architecturally and nature-wise. Beirut was my favorite city in the middle East - it's extremely beautiful with unique, distinctive architecture. It's called the Paris of the Middle East, but I didn't see much resemblance to the French capital - Beirut was way more colorful, vivid and extremely attractive. I preferred it to Paris. 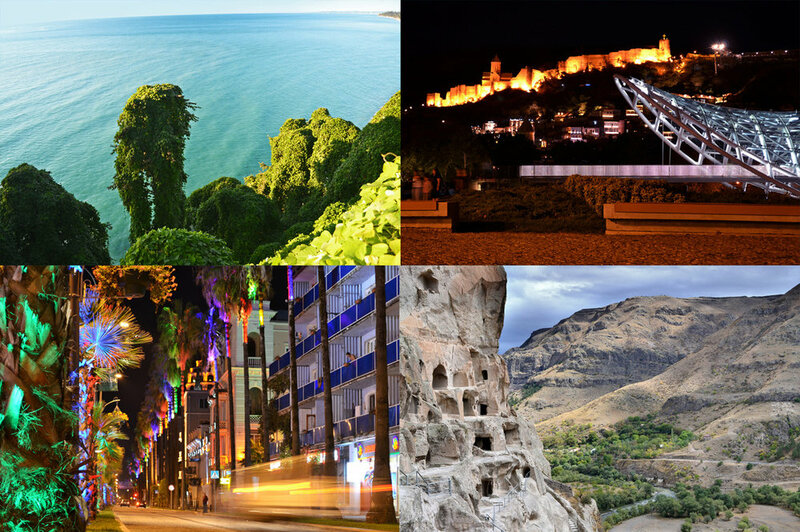 Apart from Beirut, you must see the beautiful ancient port town of Byblos, the famous cedar forests, the amazing Baatara gorge with the incredible waterfall flowing through it, the Qadisha Valley with the medieval monasteries carved into the cliffs and the Baalbek ruins - probably one of the most impressive ancient Roman Temples still preserved. Take a look at my posts about Lebanon. Norway is probably the only well known country on this list. It does appear in the media as one of the happiest and best countries to live in. However, I bet it was not your first choice for summer vacation. I wanted to include Norway in this list as it hides (apart from the spectacular fjords, the Pulpit Rock, etc.) a surprising hidden gem - Lofoten Islands which so far, was the most beautiful place I've seen. Did you know that the northern Norway (the Lofoten Islands), although located above the Polar Circle, has white sand beaches and crystal clear, turquoise waters - just like in the Caribbean? I bet you didn't - me neither and when I saw it for the first time with my own eyes, I was in shock. The beauty of this place is indescribable and everyone should see it at least once before they die. Lofoten is not a place where you travel to reach one or two amazing destinations - it is an destination in itself where after every turn something more and more incredible appears. The white sand beaches are surrounded by rocky mountains that seem to emerge right from the see - just as if you combined the beauty of the tropics together with the charm of the Alps. It's unbelievable. The little colorful fisherman villages are the icing on the cake. Not to mention the most amazing of the natural phenomenons - the 24 hours daylight in the summer and the northern lights in winter. 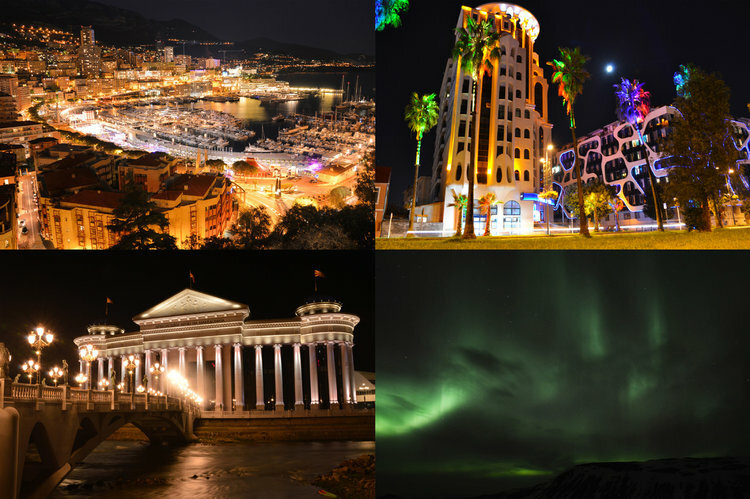 Don't go only to Oslo when you visit Norway (although it is a nice city) - go to Lofoten! Take a look at my posts about Norway.